is honored to Celebrate the Life of this powerhouse that rose above extraordinary circumstances involving unheard of levels of violence, domestically. Today, this powerhouse works to help other women to regain dignity, safety and rise of domestic violence. In May 1983, biopharmaceutist Maria da Penha Fernandes was fast asleep when her husband shot her, leaving her a paraplegic for life. Two weeks after her return from the hospital, he tried to electrocute her. Marco Antonio Heredia Viveiros, Colombian naturalized Brazilian, economist and college professor – inside their house, in Fortaleza. Viveiros shot her through the back while she was sleeping, causing her irreversible paraplegia. On a later occasion, he tried to electrocute her in the bathroom. 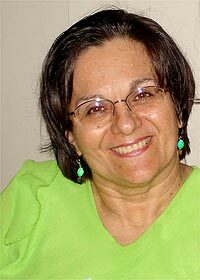 In 1984, Maria da Penha began a legal process against Viveiros. Seven years later, he was sentenced by jury to 15 years in prison. The defense appealed the sentence and the conviction was overturned. A new trial was held in 1996 and a sentence of 10 years was applied. However, Viveiros remained at large. 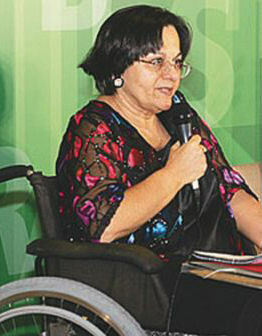 Consequently Maria da Penha, together with the Center for Justice and International Law (CEJIL) and the Latin American and Caribbean Committee for the Defense of Women’s Rights (Comité de América Latina y el Caribe por la Defensa de los Derechos de la Mujer, CLADEM), submitted the case to the Inter-American Court of Human Rights (Comisión Interamericana de Derechos Humanos, CIDH). The respondent state, Brazil, did not answer the petition and remained silent throughout the procedure. The case da Penha filed languished in court for two decades, while Maria’s husband remained free. Years later, in a landmark ruling, the Court of Human Rights criticized the Brazilian government for not taking effective measures to prosecute and convict perpetrators of domestic violence. With an average of ten murders a day, data on domestic violence in Brazil are still alarming. “It is necessary to sensitize and train those involved in the fight against violence, but we have many people involved, men and women who live and dream of a more humane society for their children and grandchildren,” she concludes. UN Women collaborates with the Avon Institute in raising awareness on domestic violence and publicizing the law through a dedicated website www.quebreociclo.com.br (“break the cycle”). The website targets young people and practitioners of law and justice. Interactive games and tools are available to youth, while legal instruments and a space for discussions about the law are available to practitioners. Classifies and defines domestic and family violence against women. Outlines some of the forms of domestic violence against women as physical, psychological, sexual, patrimonial and moral. Determines that domestic violence against women is not dependant on the woman’s sexual orientation. Determines that the female victim may only withdraw the police report before a judge. Removes from the special criminal courts (law no. 9.099/95) the competence to judge crimes of domestic violence against women. Establishes the creation of special courts of domestic and family violence against women with civil and penal competence to address family issues derived from violence against women. States that the female victim of domestic violence will be informed of the procedural acts, especially of the prison entry and exit of the aggressor. States that female victim must be accompanied by attorney or public defender in all the procedural acts. Alters the penal procedure code to allow the judge to decree preventive custody when there is risk to the physical or psychological integrity of the woman. Forbids pecuniary sentences (payment of fines or basic food baskets). Amends the criminal code in order to increase punishment for bodily harm committed by family relatives to imprisonment lasting from three months to three years, depending on circumstances (previously the law catered for an imprisonment term of 6 months to one year). Alters the law of penal executions to allow the judge to determine the obligatory attendance of the aggressor in recovery and re-education programs. Establishes that if domestic violence is committed against a female victim with special needs, the sentence will be increased by one third. Includes a specific chapter on assistance provided by the police authority in cases of domestic violence against women. 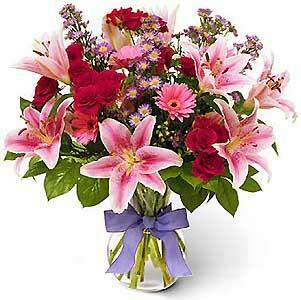 Allows the police authority to arrest the aggressor in the act of domestic violence against the woman. Establishes that the judge determine several urgent measures, within 48 hours, to protect the woman in a situation of violence. States that the judge may determine, within 48 hours, urgent protective measures (suspension of the aggressor’s license to carry weapon, removal of the aggressor from the home, keeping distance from the victim, among others), depending on the situation. Establishes that the judge of the court of domestic and family violence against women is competent to appreciate the crime and the cases that involve family issues (alimony, separation, custody of children etc.). In March 2011, the Brazilian Supreme Federal Court (Supremo Tribunal Federal, STF) ruled for the constitutionality of the Maria da Penha law, which had come into question. In February 2011, in its review of the law, the STF considered that legal action against an offender can be taken without the victim’s consent. This would mean that legal action could be taken not only by the victimised woman but also by the Public Office (Ministério Público), which can initiate criminal proceedings without the requirement of the victim’s initial legal action. This came as a reaction to evidence that a large proportion of legal actions were withdrawn by the victimized woman. 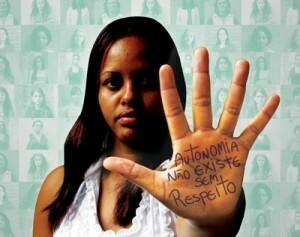 as it represents the end of impunity of violence against women in Brazil. Additionally, the STF decided that all Brazilian States and Municipalities are obliged to adopt integrated prevention measures to avoid violence against women (under the Maria da Penha law, the adoption of integrated prevention measures is not an obligation as such) in order to reinforce their role and responsibility in implementing the Maria da Penha law. On the fifth anniversary of the Maria da Penha Law, UN Women, UNISIDA, UNFPA and UNICEF launched the campaign “Women and Rights.” The campaign includes three films, which assesses the contribution of the Law and the network of care services for women survivors of violence. A co-production by TV Brasil International and UN Women, this five-part series looks at the challenges women face in standing up to violence in the home and on the streets within the Southern Cone region. It looks at efforts underway to make cities safer for women and provides technical advise on how to combat the issue. This series was broadcast on TV Brasil International and TV Brasil (open TV) on the occasion of the 100th anniversary of International Women’s Day. La campaña “Mujeres y Derechos” es una iniciativa de la ONU, en el ámbito del Equipo Conjunto sobre Sida y de los socios. Está liderada por el ONUSIDA- Programa Conjunto de las Naciones Unidas sobre VIH/Sida; la ONU Mujeres — Entidad de las Naciones Unidas para la Igualdad de Género y el Empoderamiento de las Mujeres; el UNFPA — Fondo de Población de las Naciones Unidas; el UNICEF — Fondo de las Naciones Unidas para la Infancia; tiene el apoyo del UNIC Rio — Centro de Información de Naciones Unidas para el Brasil y trabaja conjuntamente con el Instituto Maria da Penha. Las películas fueron producidas por Documenta Filmes, bajo la dirección y la coordinación de la [X] Brasil Publicidad en Causas/Daniel de Souza. La marca original de la campaña, creada basada en conceptos establecidos por la ONU, y firmada por el designer Jair de Souza. La campaña no sólo valora la contribución de la Ley Maria da Penha y de la red de servicios de atención a las mujeres en situación de violencia en Brasil, como por ejemplo, la Central 180, comisarías especializadas, casas-hogar, juzgados, varas criminales, núcleos y centros de atención sino que también trata de sensibilizar a la población brasileña en el tema de la reducción de la violencia y para la promoción de la igualdad de género y salud de la mujer. celebrating her courage and strength that inspires HOPE for all women of our world. I admire your courage Maria…I just wrote my first book “I Have A Voice” on the topic of abuse/domestic violence to give women hope and encouragement which will be released February 5th 2013.